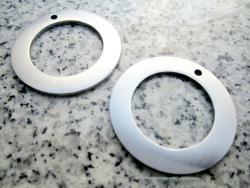 1 1/2" (38MM) Round Washer Stamping Blank 2mm Thick, Stainless Steel - AWESOME Silver Alternative! GREAT to use for Key Chains! Very similar to our Bottle Opener Dog Tag Blank. 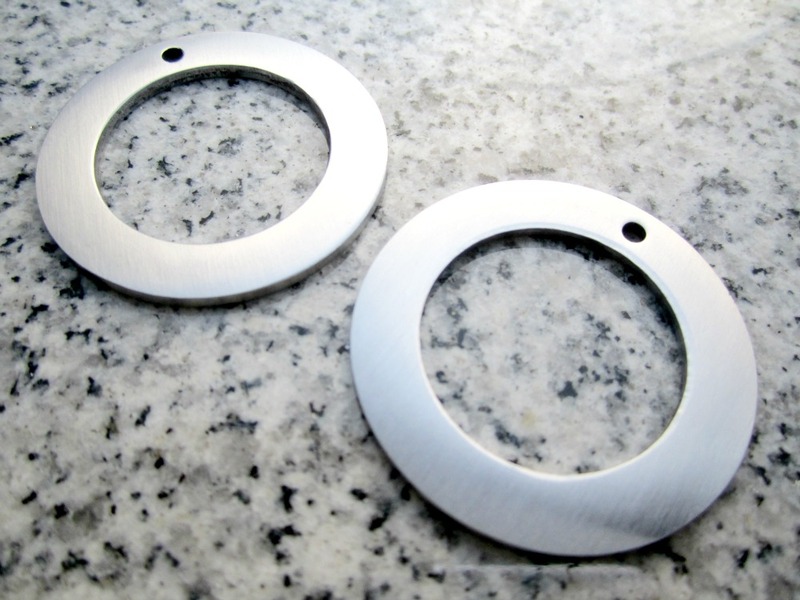 Comes w/ a hole and a brushed finish, can be hand stamped, laser or rotary engraved. Stamping/personalizing area is 1/4" wide leaving a 1" hole. Made in China.